I just read a blog post by Million Dollar Journey called "How to Take Advantage of the Market After the Crash of 2008". 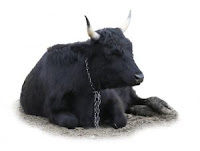 It sparked the basis of this article about bull market following closely behind a bear. If you look at the past 30 years and use the Dow Jones as a guide, you can draw a few conclusions. If you notice the other big drop in stocks near about the 1929 mark, where the Great Depression occurred. If you sold off then and swear off stocks you would have miss one of the longest bull runs in history. What if you miss the BEST days for investment? If you had just missed 50 days of the bottom of the bear markets during the period when the tides are turning, just a tiny winy 0.80% of the total days, your returns would have been wiped out and you will have just 1.8% returns for 13 years of risk taking. No one can predict when the market will turn, but now is the time to stay in the market not out of it. I am buying stocks and ETFs on top of dollar averaging through the bear market. What is your strategy to build your retirement fund and earn your financial freedom? If you miss a few days of the rally, your returns will suffer. Yes. But maybe you should try what if you miss a few WORST days of investment. Then you will have a clearer picture whether buy and hold is the best strategy. Knowing that bearish times are more intense and shorter than bullish times, I think you'll probably do very well if you miss just a few WORST days. I'm saying that not because I'm against buy and hold. Just to offer another view point to it. Yep. It will be good if i know exactly when the stock market is going down by a lot like this present bear. However, I know I am not able to guess where the market goes. So if i cannot control the timing, i want to stay invested in the market so as not to miss the bull phases because all i need to do is to stay passive and keep buying bits every time. Incidentally, i tried getting out of the market in Aug 2007, but was advised not to by a bank's financial advisor as "the market is going up". I did half way liquidated one position but left the other. So it illustrated my point that I cannot get the timing down. And I need to know when to get back in again. Thank you for stating your view, I will visit your site regularly. So I can build learn from people like yourself. You're most welcome. I'll be visiting your blog too. Let's do a link exchange. I'll put your blog up on mine.